Drone safety laws could help protect privacy as well. 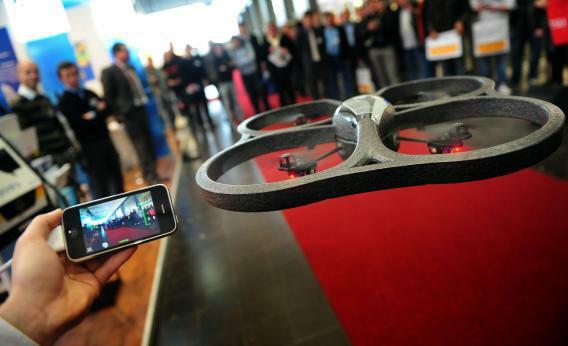 How “drone” safety rules can also help protect privacy. For most of the 20th century, obtaining overhead images was difficult and expensive. Now, thanks to advances in unmanned aircraft systems—people in the aviation field tend to dislike the word drone—it has become easy and inexpensive, raising new and important privacy issues [PDF]. These issues need to be addressed primarily through legal frameworks: The Constitution, existing and new federal and state laws, and legal precedents regarding invasion of privacy will all play key roles in determining the bounds of acceptable information-gathering from UAS. But safety regulations will have an important and less widely appreciated secondary privacy role. Why? Because safety regulations, which aim to ensure that aircraft do not pose a danger in the airspace or to people and property on the ground, obviously place restrictions on where and in what manner aircraft can be operated. Those same restrictions can also affect privacy from overhead observations from both government and nongovernment UAS. FAA regulations make it unlawful, for example, to operate any aircraft (whether manned or unmanned) “in a careless or reckless manner so as to endanger the life or property of another.” Aircraft must also be operated at a sufficiently high altitude to allow “an emergency landing without undue hazard to persons or property on the surface” in the event of an engine failure. Flying a UAS around someone else’s backyard can be a bad idea for lots of reasons, including the possibility of violating these rules. Visual line of sight operation is also required under a definition [PDF; see Section 336] provided for “model aircraft” in the 2012 law. However, that definition is specific to that section of the law and may not apply to all hobbyist unmanned aircraft. The FAA’s Advisory Circular [PDF] on “model aircraft operating standards” does not mention line of sight, though model aircraft operation beyond the line of sight would risk being viewed by the FAA as careless or reckless. The FAA is also very likely to require visual line of sight operation in new rules for most (but not all [PDF]) commercial, research, and other uses of UAS. From the FAA’s standpoint, line-of-sight rules are aimed solely at ensuring safety, since an operator who can’t see the aircraft he or she is flying can find it harder to “see and avoid” other aircraft in the vicinity. But line-of-sight operation also provides some measure of privacy protection by excluding some of the most egregious potential abuses. It is very hard for an operator in front of a house to maintain visual line of sight while lowering an unmanned aircraft into the fenced‐in backyard to obtain eye‐level images through the back windows of the house. While there is nothing physically preventing an unmanned aircraft from being flown in violation of these and other FAA rules, the potential consequences of doing so can provide a strong set of disincentives. An individual, company, or other organization that runs afoul of FAA rules could face fines or other legal consequences and find its authorization to operate unmanned aircraft suspended or revoked. That may not stop the most determined paparazzi from snapping overhead pictures of sunbathing movie stars, but it should help dissuade many would-be UAS voyeurs. And what would happen if a law enforcement agency violated FAA rules while using a UAS to get images of a suspect’s backyard? Would acquiring those images be a Fourth Amendment “search,” and therefore be unconstitutional without a warrant? While the Supreme Court has never specifically ruled on UAS privacy, it considered warrantless observations from manned government aircraft on three occasions in the 1980s. In the 1986 California v. Ciraolo decision, for instance, the court ruled that police observations from an airplane flying at 1,000 feet of marijuana growing in a backyard were constitutional. Noting that the “observations … took place within public navigable airspace … in a physically nonintrusive manner,” the court held that the “Fourth Amendment simply does not require the police traveling in the public airways at this altitude to obtain a warrant in order to observe what is visible to the naked eye.” In two other decisions involving observations of private property from aircraft—Dow Chemical Co. v. United States in 1986 and Florida v. Riley in 1989—the justices also viewed the fact that the aircraft were lawfully operated as a factor, although far from the only one, in finding no Fourth Amendment violation. In light of these precedents, a court might well find gathering images from government aircraft operated in violation of FAA regulations to be unconstitutional. It’s still far too early to know exactly how FAA rules designed to provide safety and efficiency will affect unmanned aircraft privacy. Commercial UAS operation in the United States is not yet permitted, and the number of law enforcement organizations that have received FAA authorizations for operational (as opposed to training) UAS use is still very limited. And while there is a large and growing community of “drone” hobbyists, the overwhelming majority of them fly safely and in a manner respecting privacy. However, as unmanned aircraft use increases there will inevitably be instances in which UAS are operated by private individuals, paparazzi, companies, and law enforcement agencies in ways that raise privacy concerns. Determining whether those uses violate reasonable expectations of privacy will sometimes start—though certainly not end—with an inquiry into whether the UAS was operated in compliance with FAA regulations.